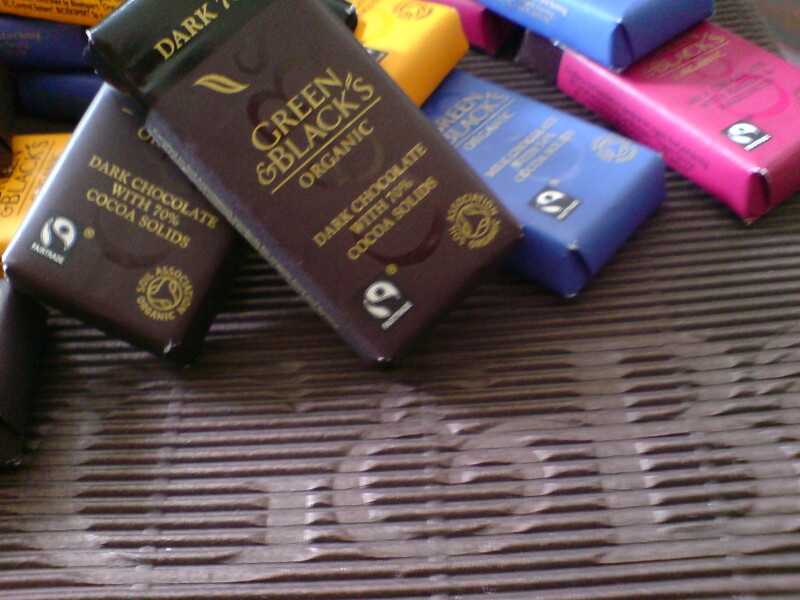 This morning, I signed for 58 assorted bars of Green & Black’s chocolate. I have great big bars and those delightful “too cute to eat” bars. (I shall eat them; my ethos of preserving cute things does not extend to chocolate) Thank you, SheilaRose for contacting Green & Black’s PR people. Also, today, I received yet more G&B direct from Cadbury, thank you Jonathan for getting in touch with them. So far, one way or another, I have been sent 91 bars! I’m very glad to hear that our efforts beared fruit, the chocolate flavoured kind! Remember what the doctors said – one bar per day… Be strong! Just one!! I am an enigma, at least that’s what my old teacher told me.